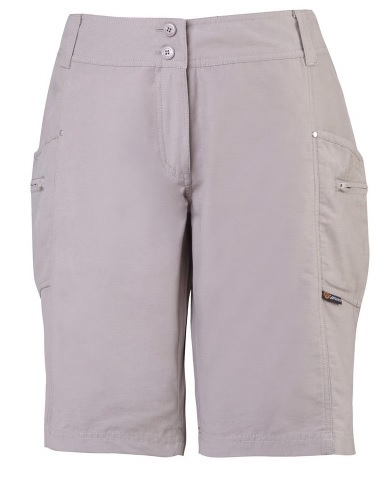 GONDWANA Weiheke Women's Short in Stone Colour is a functional knee length short with side spilt at the cuffs for added mobility and two thigh pockets with zip closures to stash your cash. Please note colour of shorts is darker than shown. Size: 16,18 - No other sizes available. Please contact store on 03-51531497 or sales@bairnsdalecamping.com.au before purchasing to check stock levels.